Crosswater at Pablo Bay project a huge success in the JTB/ICW Corridor. Crosswater at Pablo Bay has been busy from day one, breaking ground in September, 2013. Four of the area’s biggest homebuilders converged on the tract of land that is now Crosswater at Pablo Bay, just down the street from the Mayo Clinic on San Pablo Road. What they've created has turned out to be a huge success. Cornerstone, Providence, Mattamy, and David Weekley have all experienced robust sales, with some builders looking at the successful end of a great run, as they come close to being fully sold out. Providence, for example, has only five remaining inventory homes left in Crosswater. They sold 54 out of 59 homes in Phases One and Two. Crosswater at Pablo Bay is just off San Pablo Road about a mile from J. Turner Butler Boulevard, not far from the Intracoastal Waterway (ICW) and Jacksonville Beaches. 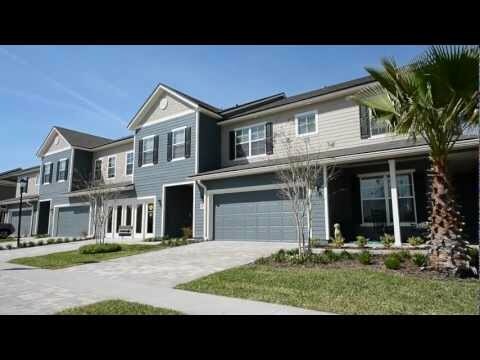 It’s as quick a drive to the St. Johns Town Center as it is to Jacksonville Beach. The added bonus here is that Crosswater at Pablo Bay is not part of a Community Development District (CDD), so no CDDs fees. Sign up and get more information on availability and pricing on Crosswater at Pablo Bay once New Homes are available. "Thanks Joi, for keeping us in the loop every step of the way. You were great to work with, from the moment we arrived in Jacksonville. You guided us to the best communities and the best homes that were a fit for us. We couldn't have done it without you." - Mike and Rhanda H.